The European mole was @SpeciesofUK from 23rd to 29th June, 2013. 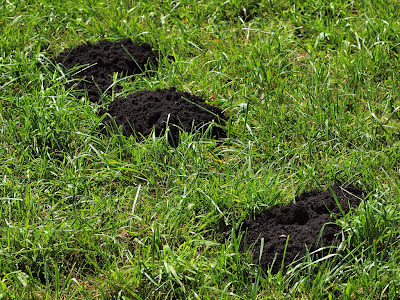 Moles are subterranean burrowing species of mammals. The European mole is one of nine mole species in the genus Talpa, all of which are found in Europe or western Asia. Moles are found throughout Britain wherever there is deep enough well-drained topsoil. They aren't dependent on sunlight and so can be active day or night throughout the year. 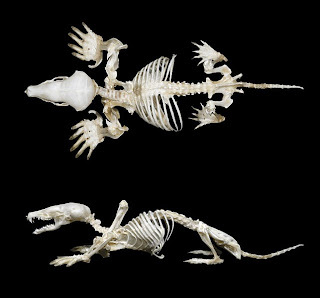 European moles are just one of a complicated bunch of species. There’s true moles, there’s shrew moles, there’s golden moles and then there’s marsupial moles. 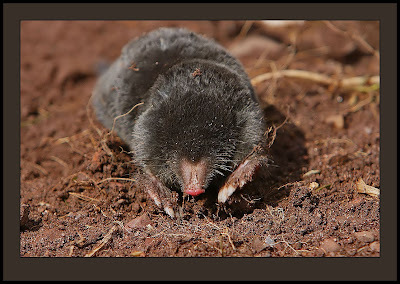 'Mole' is a common name given to about thirty species in total, primarily from the Talpidae family (known as 'true moles'). 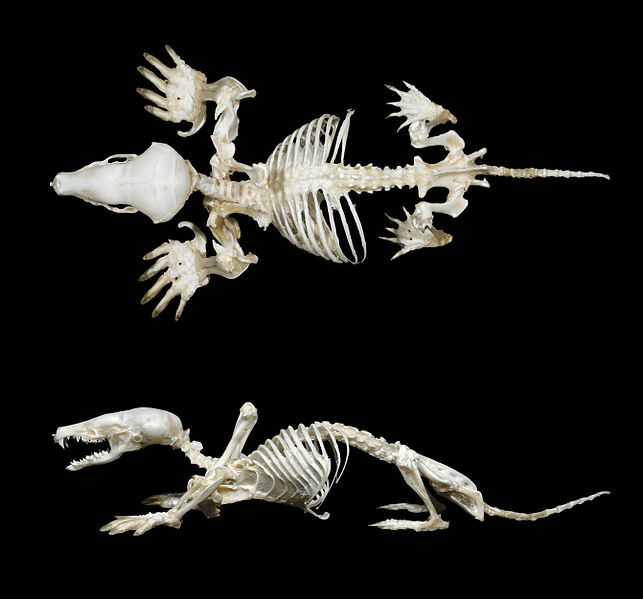 Talpidae also includes the shrew moles and desmans. The 'true moles' can be further split into New World moles (North America and China) and Old World moles (Europe and Asia). 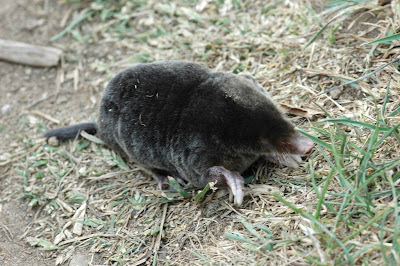 The other eight Talpa genus moles are the Altaic, Blind, Caucasian, Père David's, Levant, Spanish, Roman and Balkan moles. Père David's Mole is particularly interesting - it's only found in Kurdistan Province, Iran, and is critically endangered due to habitat loss. 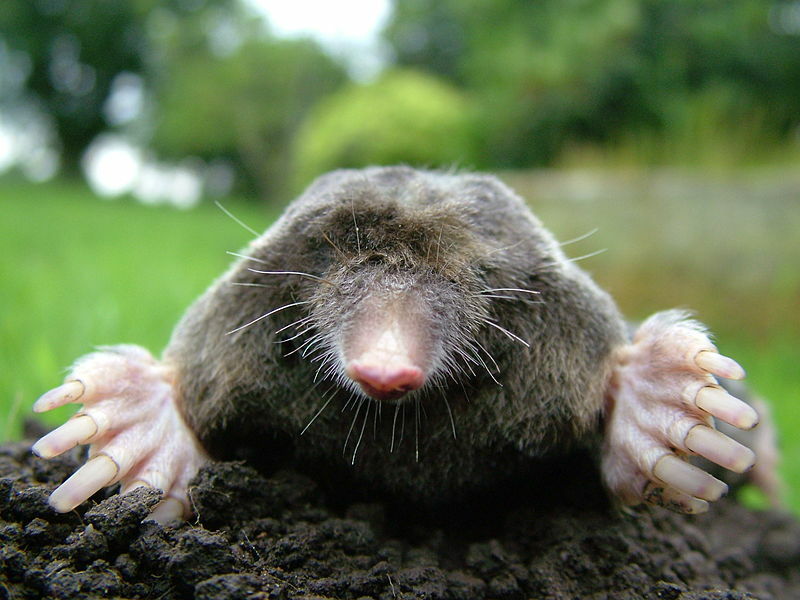 The European mole is perfectly adapted to digging through soil. 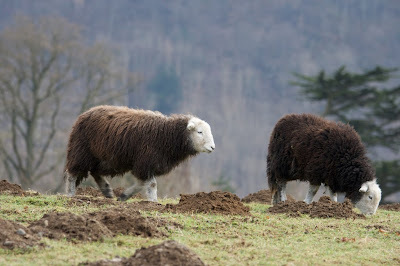 It has short thick, usually black, velvety fur, designed to allow it to move both forwards and backwards in the soil. It has an elongated cylindrical body, strong forelimbs and very small eyes. Most famously, the mole has large forelimbs. They have five robust claws in a spade-like shape and are permanently turned out. The mole has no external ears. Its nose is naked, apart from sensitive whiskers that it uses to feel its way around. Moles are rarely seen in the British Isles outside of the mainland UK. Moles are very common in Great Britain but interestingly they are completely absent from the island of Ireland. They are also absent from the majority of British islands, except for Jersey, the Isle of Wight, Anglesey, Mull, Alderney and Skye. The mole is widespread throughout mainland Europe (hence why it is called the ‘European’ mole) except in southern countries. 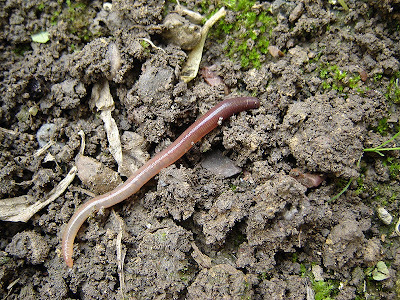 You're most likely to find moles where you find earthworms! The mole’s diet includes worms, insect larvae, beetles, slugs and other invertebrates which fall or crawl into its tunnels. The extensive network of tunnels is basically a giant trap! 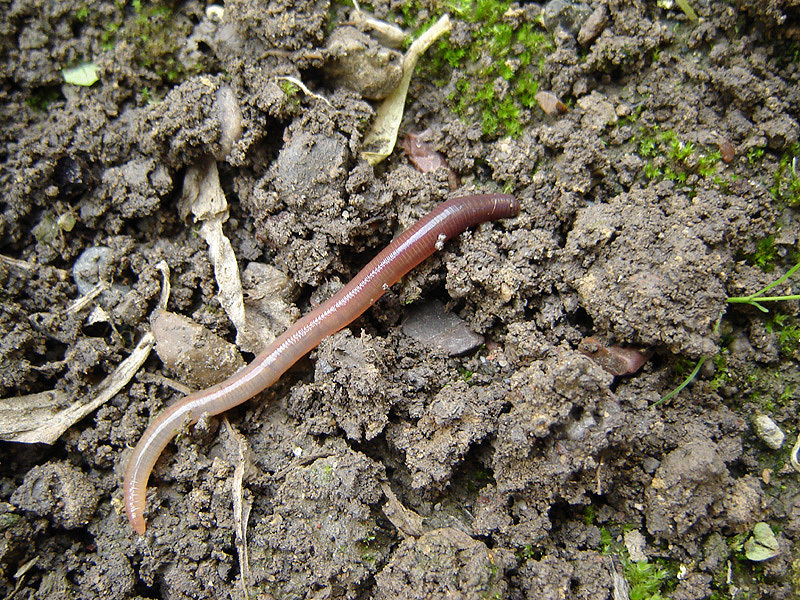 Earthworms, are the mole's absolute favourite, especially during the winter. The mole immobilises the earthworm with a bite to the head and stores them in special larder chambers. 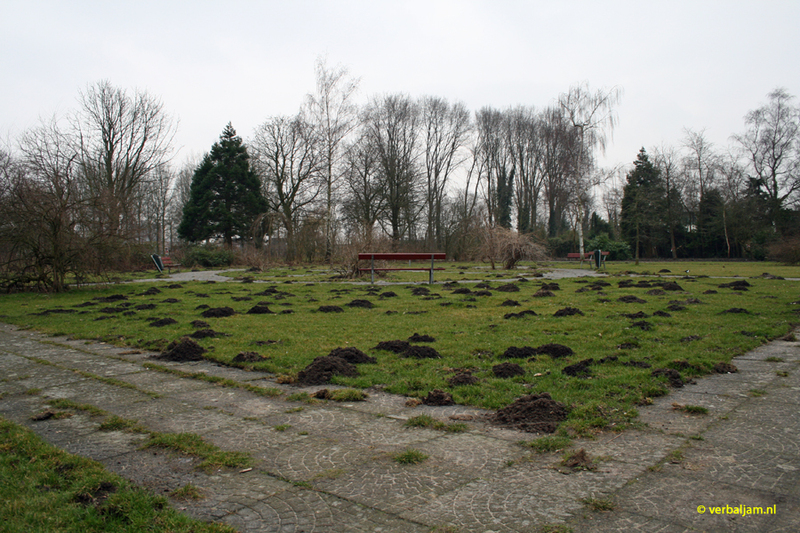 Moles can therefore be found wherever the habitat is also suitable for earthworms, e.g., fertile grassland, pasture, deciduous woodland and gardens. Moles are less common where soil is more acidic and prey is scarce, e.g., coniferous forests, moorlands or sand dunes. 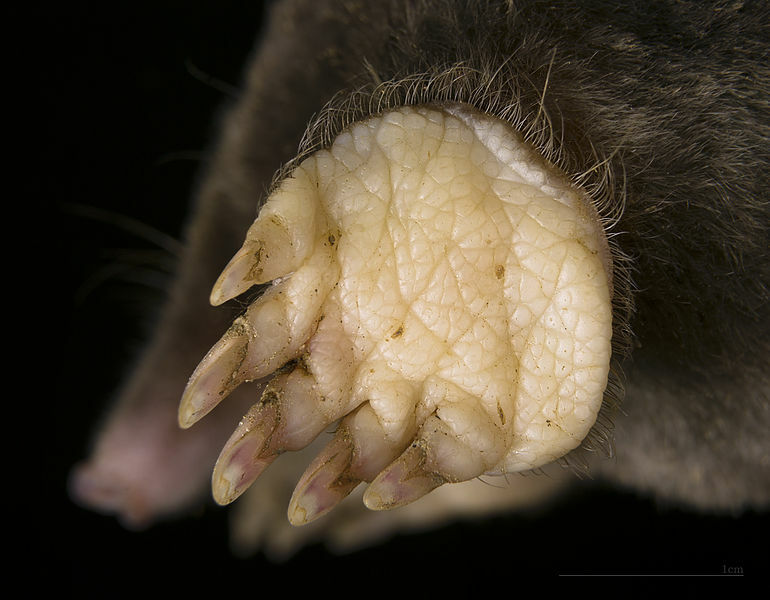 Moles spend most of their lives underground in a system of permanent tunnels. The evidence of these is molehills! Moles almost never venture above ground, although they will forage on the surface in times of drought. You can watch a BBC video of moles underground here. There can be few animals in the UK that leave such distinctive signs of their passing as the mole. I'm talking of course about the ubiquitous molehill! The molehill is a simple by-product of the excavation process. The moles probably don't give them much thought but to us they're iconic. Gardeners see molehills as a plague. I don't know what they're talking about! Moles spend most of their lives on their own, in their personal tunnel system. Both males and females defend their tunnel territories aggressively. In the breeding season, males extend their tunnel system to find females. 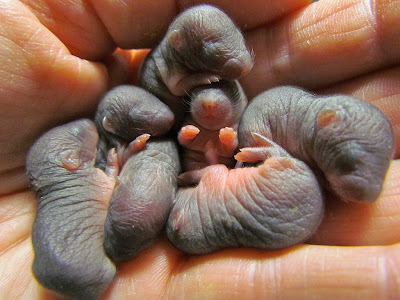 Moles have one litter per year, of between two and seven naked and blind young. They are suckled for about one month after which the mother drives them off and they head above ground to find their own territory. 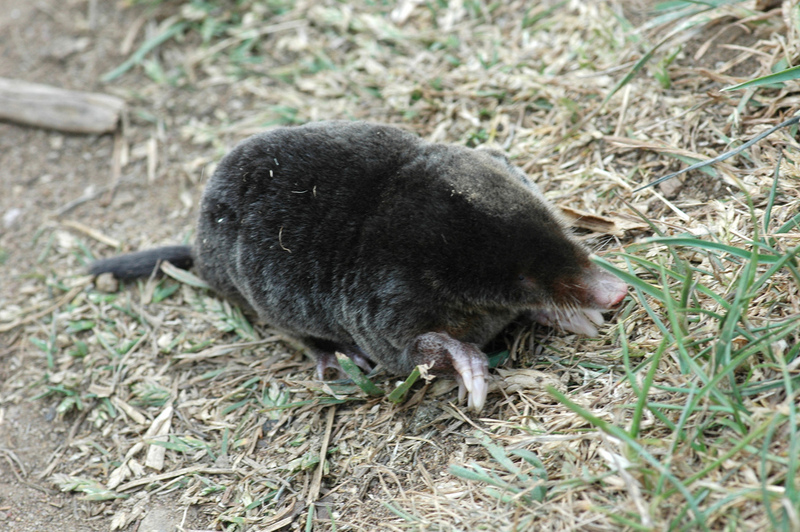 The stage of a mole's life after they've left the nest and are dispersing above-ground is when they're most at risk of predation. Predators include owls, buzzards, stoats, dogs and cats. Moles are sexually mature in the spring following birth. Female moles are the only mammals that possess 'ovotestes', which contain a ovary as well as a testicular area that produces testosterone. Most don't usually live beyond three years but they can live up to six years. Moles are unfortunately seen by many as a pest. Moles are an ongoing success story in terms of their numbers. They're not the target of any conservation and in fact are often seen as a pest. Farmers report damage to pasture, injury of livestock, damage to farm machinery, and contamination of silage as problems caused by molehills. However, molehills are only produced when the tunnel complex is first created. If they are cleared away and the mole itself is left alone then molehills shouldn't recur in same area. Moles used to be trapped and the pelts used to make garments. Later they were poisoned by strychnine which causes a painful death. Strychnine was banned in the UK in 1963 for use on all animals except moles because people thought they needed controlling. In 2006 it was banned for moles too.